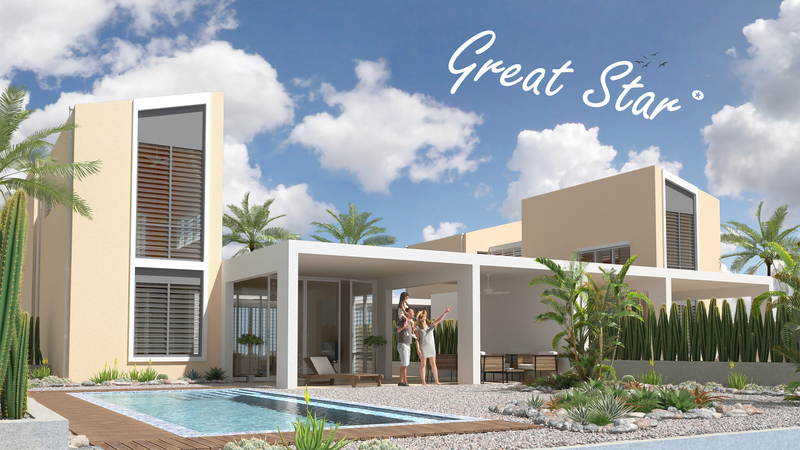 'Luxury Defined by Nature' is the slogan of the brand new Delfins Beach resort Bonaire. Eventhough the resort has recently opened for public, they already made name with their high end facilities and great gastronomy by the restaurant of 'Brass Boer', managed by the famous three Michelin Star Chef Jonnie Boer and his wife Thérèse Boer. The resort style swimming pool with poolbar and specteacular white sandy beach with an abundance of palm trees ensure your tropical experience on our island. 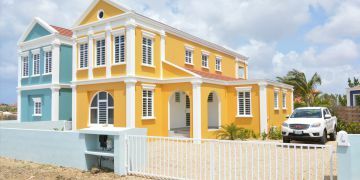 Delfins Beach Resort continues to expand and is providing you the opportunity to invest in a private villa on a plot freehold land, including the usage of the amenities of the Delfins Beach Resort. Even your guests can enjoy the resort while staying in your private villa*. If you like, the professional rental team of the resort can manage your property when renting it out as a vacation villa. Estimated net return on investment is approx. 6%! In this first phase, only 13 exclusive villas will be built. 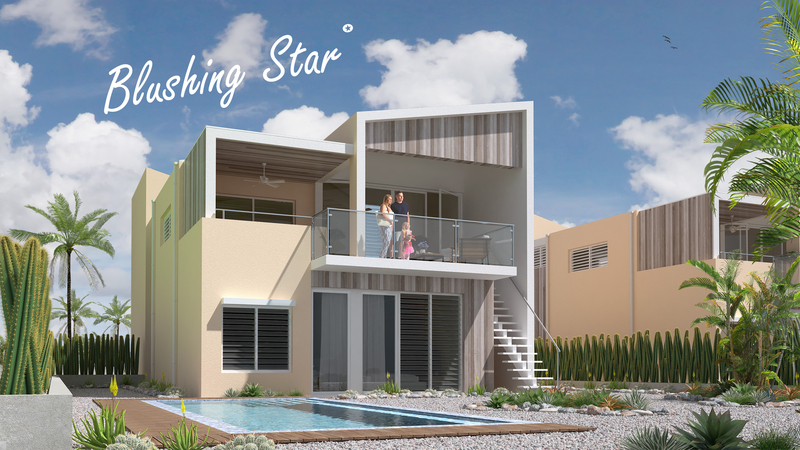 You can choose out of two types; the 'Blushing Star' (4 beds/ 4 baths) and the 'Great Star' (3 beds/ 3 baths). The villas will be located on a paved road. A foothpath in the South provides access to the Resort. Both villa types will have a private carport with room for 2 cars. Solar Panels, swimming pool and charging points for electric vehicles are optional. Want to know more? Visit the website of Delfins Beach Resort Villas: www.delfinsvillas.com or click here for the online brochure with technical description. Curious about the resort? Google streetview is available, click here. Turn-Key delivery, swimming pool and solar panels optional. Lot size:up to 416 m² / 4,500 sq.ft. 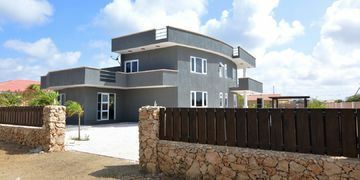 Lot size: up to 470 m² / 5,000 sq.ft. internet and phone connection via Resort - direct line to front office. * prices are excluding notary- and land registration costs. There is no transfer tax applicable. Registered with the Land Registration office (Kadaster). All villa's are registered individually. *Annual resort fee; US$ 3,000.- including phone/internet connection, usage of Delfins Beach Resort amenities and maintenance of common greenzones and -roads.The parcels will be encumbered with easements to ensure right of way to the public road, right of way via footpaths to the resort, right to use amenities of resort and reimbursement, possibility to rent out the villas via the resort, and other easements if necessary.